Tech N9ne Military Meet & Greet In Honolulu, Hawai’i! ALOHA TO ALL THE MILITARY TECHNICIANS IN HAWAI’I! 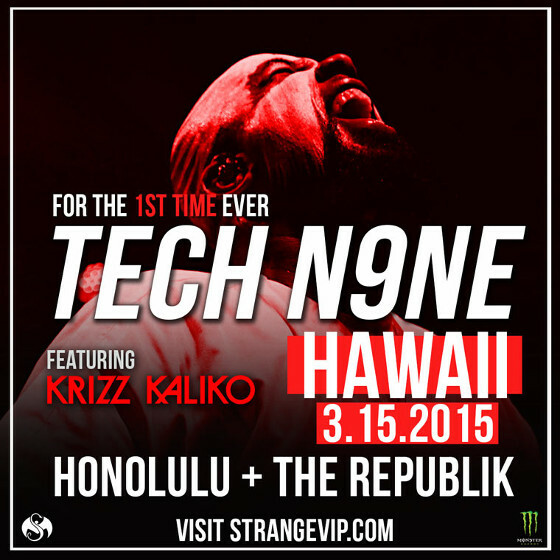 Tech N9ne will be performing at The Republik in Honolulu, Hawai’I on 3/15/15 for the first time ever. If you’d like to take part in our special TECH N9NE MILITARY MEET AND GREET for the opportunity to meet Tech N9ne and Krizz Kaliko, just submit proof of ticket purchase, along with your military ID, to fans@strangemusicinc.com. The first 50 active military members who do so will get a meet and greet with Tech on the day of the show and may bring one guest (guest must also have valid ticket to the show)! 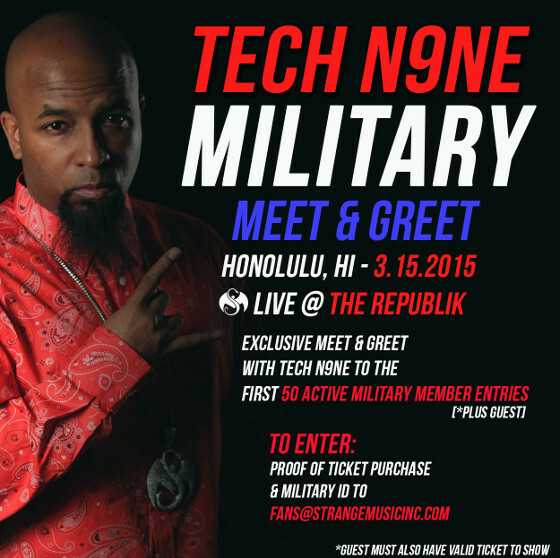 So get your tickets and come see Tech at The Republik on 3/15/15 in Honolulu as we show our appreciation for your service to our country at the TECH N9NE MILITARY MEET & GREET!